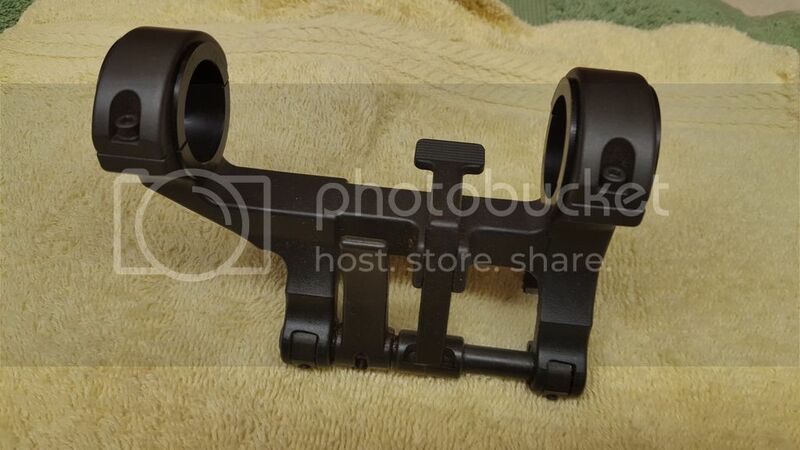 Selling a like new HK original german scope mount for 30 mm tube or 1" with the included inserts (no box or packaging). H&K Claw Scope mount for the Model PSG1, SR9, G3, G41, 91, 93 Etc. Marked "Schubrichtung". I have owned this mount for the past 30 years. Always kept oiled and in a humidity controlled safe. Has no rust or defects. One of the small lockwashers for the scope ring bolts is missing. Any email questions will be answered promptly. Asking $700.00 or offer.